Have you ever tried Ubuntu? I believe most of us have, as Ubuntu is one of the most popular Linux distros out there. Canonical – the creator of Ubuntu – has successfully simplified the installation process of its product so much that even the most non-geeky computer users can easily try it and then install it on their computer. 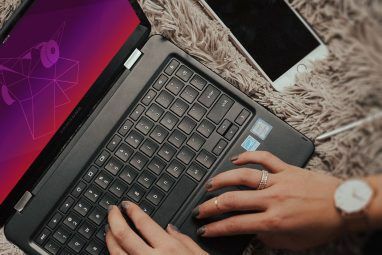 Unfortunately, even though the latest version of Ubuntu is so much easier to use compared to earlier versions, most non-geeky computer users still find it a little bit intimidating. 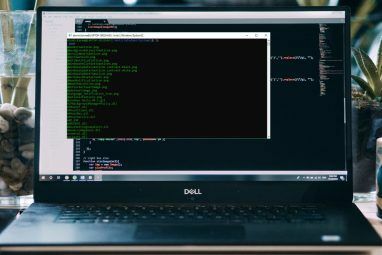 Many common daily computer tasks like downloading and installing applications often require users to deal with command lines. Maybe that’s why many Windows users that I know feel uncomfortable using Ubuntu and have decided to ditch it. The problem is, uninstalling Ubuntu is not as simple as installing it. 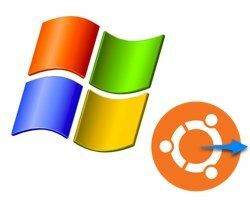 Those who install Ubuntu from within a Windows environment using the WUBI installer are very lucky, because they can then easily uninstall it using the WUBI uninstaller – also from the Windows environment. The uninstaller is usually located inside the Ubuntu folder in drive C (the main hard drive). But those who install Ubuntu alongside Windows (in a separate partition) are not that lucky. Making mistakes during the uninstallation process could render the whole system useless, and reviving the system from the dead is even more difficult. I’ve searched the web to find the easiest and safest way to uninstall Ubuntu under these circumstances, but everything that I found involves a heavy dose of command lines. But at least I got something out of my search. I began to understand that there are at least two main obstacles that we have to overcome to be able to safely remove Ubuntu. The first is finding the location of the installation before we can remove it. The second obstacle is restoring the boot loader so that the computer will boot directly into Windows after we remove Ubuntu. Let’s start from the second problem as I think this is the most important one. During the installation, Ubuntu will replace your computer’s bootloader with Linux’s GRUB. But when you delete Ubuntu, the boot reference is not restored to the original. This will cause your system to be unable to boot. To prevent this problem from happening, we will use the help of a free utility called EasyBCD from NeoSmart Technologies. This tool will help users modify and manage their computer’s bootloader. We will use EasyBCD to overwrite GRUB so the computer will boot directly to Windows again. Open EasyBCD and click the “Add New Entry” button in the sidebar. Select the Windows tab under the “Operating Systems” tab, choose your Windows version and the drive where it’s installed, then click “Add Entry“. Then go to “Bootloader Setup“, choose the partition that you want to boot from and click “Install BCD“. Continue by choosing your version of Windows under “MBR Configuration Options” and click “Write MBR“. Try to boot your system just to make sure that it’s going directly to Windows without any interference from GRUB. If everything is OK, let’s continue to the next step. The second tool that we are going to use is EASEUS Partition Master. We will use the tool to remove the Ubuntu installation. If you install Ubuntu alongside Windows, Ubuntu will create its own partition in your hard drive and install itself there. To remove Ubuntu, all we have to do is to delete its partition. Then we can reclaim the free space back. Open the app and you will see all the available partitions. Your Windows partition should be labeled FAT or NTFS, and Ubuntu’s partition is described as “(Other)“. Deleting the partition is as simple as selecting it and clicking the “Delete” button. Click “OK” to confirm the deletion and continue to delete other partitions that you don’t need. Be careful not to delete your Windows partition (or your data storage)! All the deleted partitions will be labeled “Unallocated“. To claim the free space, slide the edge of your main partition to replace the unallocated space. Click the “Apply” button and restart your system to apply all the changes that you’ve made. The process will take place during the booting. After it’s finished, your system will boot to Windows. Congratulations! You’ve just safely removed your Ubuntu installation without touching a single command line. Please note that if you have important data inside your Ubuntu installation, you should back up your data first before removing everything. Have you ever tried to remove your Ubuntu installation? Do you know other easy methods to do it? Please share using the comments below. Please don't use this guide. It's wrong and it will probably break your computer. In all honesty, since Windows will still boot from GRUB, the easiest option is just to delete the Ubuntu partition, and ignore the Ubuntu entry when booting. Not perhaps very elegant, but still functional.....and that's what most people want, to be able to use their Windows install. And this way, if you should want to re-install any Linux distro afterwards, GRUB is already installed. All you need to do is install from your LiveCD, then, after installing, and before re-booting, simply run 'sudo apt-get grub-update' in the terminal. Works for me.....but then, I don't have UEFI to worry about. My Compaq Presario desktop PC is from the XP-era, and has good old MBR. Yay! He is rite. USE BCD first,that what he said. After that you can also use a linux live CD with partition magic. I'm using Win7 32-bit, but after some quick search, I found out that EasyBCD supports 64-bit as well. Got through the EasyBCD portion... but then everything was not alright. Windows would not load, had to resort to a system restore. Ugh. All because of a black screen whenever i attempted to boot into Ubuntu. Yeah, n00b to ubuntu. I'll definitely be giving it another go, but on an alternate computer that's not a laptop with probably graphics driver issues and not a computer that other people in my family would be upset about being down for a few days while I stumble through. In hindsight, I'm wishing I had left the partition and ubuntu alone and tried to work through the display driver issues in apt-get before resorting to uninstall, which created a much bigger headache than having a portion of my HDD "unusable" for a time. I still need some "hand holding" when it comes to ubuntu configuration, especially with my nil experience with linux CLI. Hi I tried your method to uninstall Ubuntu and Windows couldn't boot with the loader EasyBCD installed. Luckily the Windows DVD recovery fixed things up. I am using Win7 64 bit, does EasyBCD take that into account when it creates a new boot file or does that not matter because I don't remember seeing any options regarding that? There's also this older, but still helpful article on uninstalling Ubuntu that has saved me a few times. It uses different programs though. "The last option that I can think of is to clean install the Windows." I'm sorry I couldn't replicate your error. Could you skip the error and go directly to "Add New Entry" menu? Another option is to reinstall Ubuntu so that it'll fix the boot menu, and then you can use the method above to clean it. The last option that I can think of is to clean install the Windows. I was very happy when I found this article because one of my computer's Ubuntu is no longer working and I not interested in repairing it. So, following your instructions, I installed EasyBCD, but when I started it says "The boot configuration data store could not be opened" . It gives me a manual option but I have no idea where that data is. If I just start without that I have no access to the options you indicate in the article. Please, help. Sorry, I forgot one thing: most PPAs and external repositories actually contain beta software, this is why they're not in Ubuntu by default. Thanks for sharing your expertise. Really appreciate it! As clearly seen in the writing, I'm a newbie in Ubuntu world so I could use all the help that I can get. :) I'm aware of Ubuntu Software Center and scaring out new users is the last thing that I want to do. Unlucky me, most (not all) of the applications that I want to try on Ubuntu (burg, synapse, dropbox, handbrake, to name a few) are not straightly available from the software center. @Lazza, the author has a jailbroken iphone, and apparently runs a Mac, so you have to question anything he says about other systems. 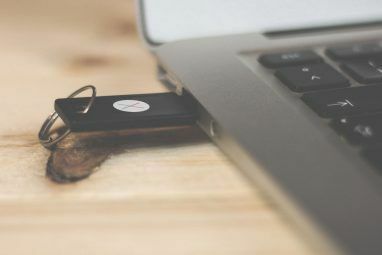 "Many common daily computer tasks like downloading and installing applications often require users to deal with command lines." Seriously? Which version did you try? Ubuntu 4.10? Are you aware there is a tool called Ubuntu Software Center? Sorry for sounding a bit of ironic, but I think you should not inject improper fear in new users. :) The article is good afterall (BTW you can also wipe the MBR from within Ubuntu: it needs 2 very simple commands, but you don't like them so no problem). I'm a bit confused here. Take a look at the scenario described above: "... This will cause your system to be unable to boot ... Open EasyBCD and click the “Add New Entry” button in the sidebar ..." So, how did you "Open EasyBCD" if you're unable to boot your system !!!??? You forgot to include the phrase: "To prevent this from happening...." between "...unable to boot..." and "Open EasyBCD..." :) This means that you should use EasyBCD prior to uninstall Ubuntu. I'm a bit confused here. Take a look at the scenario described above: "... This will cause your system to be unable to boot ... Open EasyBCD and click the â€œAdd New Entryâ€ button in the sidebar ..." So, how did you "Open EasyBCD" if you're unable to boot your system !!!??? You forgot to mention, that is would be a good idea to run CCleaner with the WIPE FREE SPACE option selected, after the whole process and then run Defraggler for optimum results. However this article is awesome, is nice to have alternatives. Thank you for pointing that out. Cleaning and defragging will surely optimize your system.